Chakra is a derivation of Sanskrit word for wheel. It means the points in the body that generate spiritual or physical energy. The 7 chakras are found in the body, but they are not touchable. However, it is possible to sense or feel them. 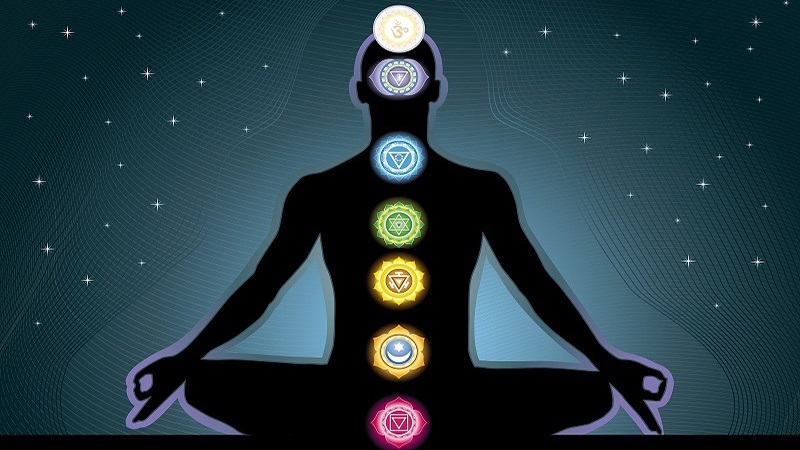 The body has about 114 energy points, but the 7 chakras are the main ones. The points are located along the spine from the top of the head to the tip of the spine. This center of energy in the body is located at the base of the spine and is associated with color red. The term ‘Mooladhara’ can be divided into two; Moola meaning root or source, and adhar which means foundation. When a person is seated with the legs crossed, Mooladhara is at the base. This means that life is not possible without having a base on which to build everything else. People, who have ‘Mooladhara’ as the most dominant of the 7 chakras, have an interest in food and sleep. This is the second of the 7 chakras, and its location is below the naval. Its association color is orange. When this is the dominant chakra, then a person is interested in pleasure. Such people enjoy life in various ways, and their activities are slightly intense than those dominated by Mooladhara. The Manipura is found above the navel in the stomach area. Yellow is the color of association and is the dominant of the 7 chakras in people who are very active in life. People dominated by this source of energy are about action and can do plenty of things. The ‘Anahata’ means free or unstuck, and its location is in the center of the chest. It is associated with green color, and its location is the center point of the 7 chakras. It may be seen as the point of transition from the chakras in the base to those in the higher level. The three chakras discussed earlier are about a person’s physical existence. This chakra is associated with color blue, and its location is at the throat. Vishuddhi means filter and people with this energy level are usually very powerful. The power referred to here is not political or administrative but all ways that make a person influential. The Agna is located on the forehead between the eyes and is linked with the color indigo. This chakra indicates that a person is intellectually enlightened. The person has a new balance, and the happenings in the outside do not disturb the peace within. However, total liberation is not yet attained. This chakra is found at the top of the head, and it is associated with violet color. In this level of energy, a person gets ecstatic about everything. This condition is the highest level of the 7 chakras. The person at this level of energy is at total peace with all that is happening around. All the 7 chakras have physical and spiritual dimensions. These dimensions are connected, and it is possible to transform from the physical dimension to the spiritual one. With the right kind of awareness, it is possible to free oneself from physical needs and focus on higher level requirements.